The Safco Serenity Big and Tall Leather Chair is a tough office chair designed to provide comfort and style for a wide range of body types. 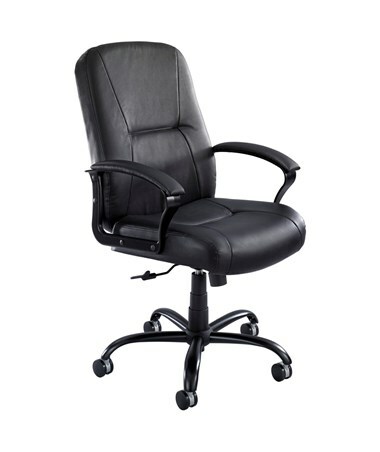 It features a variety of adjustability including a pneumatic height adjustment, tilt lock and tilt tension, and a full 360 degrees swivel of the seat. It also features a rocking mechanism and a weight capacity of 500 pounds. The thick foam padding on the back and seat and the padded armrests provide maximum comfort and relaxation. The oversized five-star base provides stability and the two-inch dual wheel carpet casters allow smooth mobility. The chair’s base is made of steel while the seat and back are made of plastic with leather upholstery. It also meets BIFMA industry safety standards. 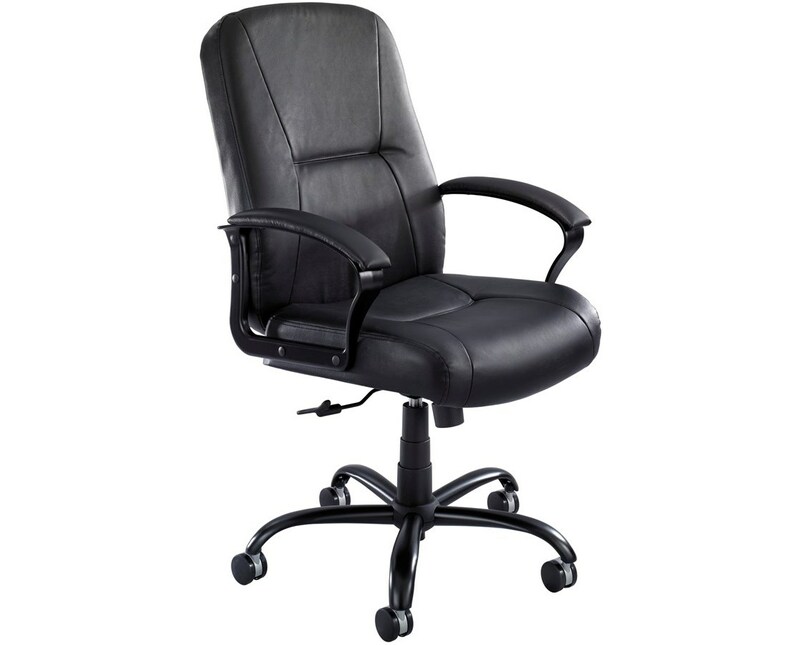 The Safco Serenity Big and Tall Leather Chair is available in different back sizes. Please select your preference from the choices above.